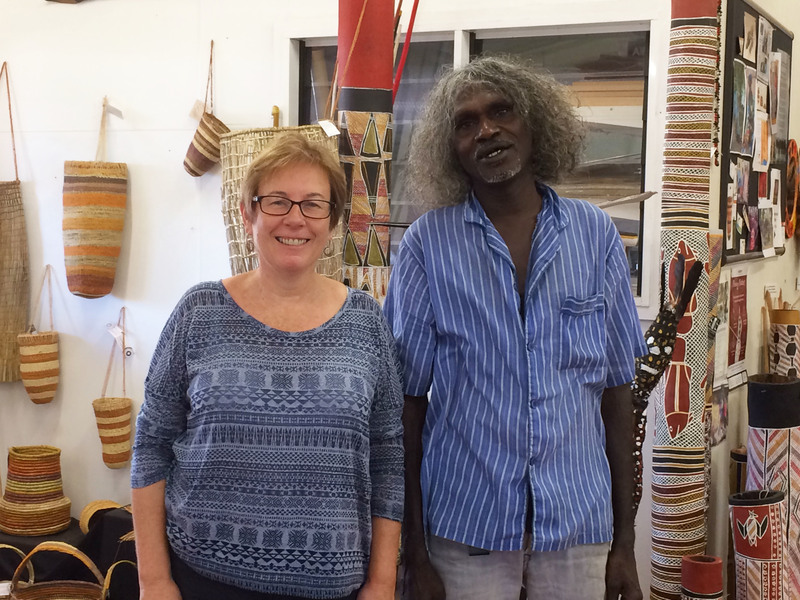 Senior Editor, Margaret Whiskin with the 2017 Kestin Indigenous Award winner, Johnny Malibirr at the Gapuwiyak Art Centre. A Magabala is a bush banana that spreads its seeds far and wide – likewise, indigenous publisher Magabala Books encourages us all to share Aboriginal and Torres Strait islander stories far and wide with other parents, children and teachers. We spoke to Projects Officer Kate Rendell, about this unique publishing house and the increased popularity of Indigenous stories over the last decade. For readers who don’t know about Magabala Books, what would you like to tell them about your unique publishing house? Magabala Books is Australia’s leading Indigenous publisher, based in Broome, Western Australia. Indigenous owned and led, we are guided by strong cultural principles and a passion for quality literature. Established more than 30 years ago by Kimberley Aboriginal elders, Magabala has supported Aboriginal and Torres Strait Islander storytellers, authors and illustrators from all over Australia to publish more than 270 books. Magabala has built an impressive resume of award-winning titles, including Bruce Pascoe’s best-selling Dark Emu which will soon be released in a children’s edition (June 2019). We also make a huge investment in the development of new and emerging literary talent and are fortunate to have the support of the Australia Council for the Arts Culture and the Arts (WA) and our donors who make our philanthropic programs possible. Magabala Books has a big responsibility. How do you make sure that you are always following your objectives? Magabala Books has a responsibility to our creators, our readers, the Australian publishing industry and the wider Aboriginal and Torres Strait Islander community – which requires a layered and value-driven approach. To ensure we are always following our objectives, we are led by an engaged and committed Aboriginal Board of Directors, headed by our wonderful Chair Edie Wright. We are made up of a small yet dynamic team of staff, guided by CEO Anna Moulton and Publisher Rachel Bin Salleh. Being a small team allows a unique blend of flexibility and innovation. A focus on relationships underpins everything we do. Listening to our creators and community, we are continually adjusting our approach in response to a changing cultural and literary landscape. Do you think that non-Indigenous Australian parents are becoming more aware of the importance of sharing Indigenous Australian stories with their children very early on? Yes, it is incredibly heartening for us to have witnessed the rise in popularity of Indigenous stories over the last decade, especially in the children’s and junior fiction space. We believe Australians are generally much more interested in Indigenous perspectives today, and Magabala Books has played a pivotal role in fostering that interest. What Magabala’s children’s books offer are stories told by Aboriginal and Torres Strait Islander people themselves. Reading creates a chance to see the world through someone else’s eyes so the question of who is telling the story is incredibly important. Why? It’s partly about cultural integrity, and because most literature and history books have been written about Aboriginal people. This was a big part of the reason why Magabala Books was established, so that Aboriginal and Torres Strait Islander people could take control of their storytelling. Reading Indigenous stories from an early age contributes to positive generational change – our children will know and understand so much more than earlier generations. That’s also why it’s so important to take this learning into the classroom. We are working hard to ensure works by Indigenous people are included in national and state curriculum reading lists from foundation/kindergarten to year 12. We produce Teachers Notes for most of our titles, and have partnered with Reading Australia, the Australian Literacy Educators Association and Association for Teachers of English to develop teacher resources for our primary and secondary titles. Tell us about your Magabala Scholarships. At Magabala Books, we have a commitment to supporting the professional development of established creators and nurturing young and emerging writers and artists. Our scholarships are one way we do this. Established in 2013, our Scholarship Fund supports Indigenous writers and illustrators to develop skills, meet professional goals and increase creative career opportunities. The program is a successful outcome of our philanthropic program and is 100% funded by our donors. Magabala Scholarships are flexible and self-directed, allowing creators to identify their own professional needs. Recent scholarship activity has seen one scholar visit the Bologna Children’s Book Fair in Italy, four scholars undertake mentorships with industry experts and two illustrators attend relevant literary festivals. It is a pleasure and privilege to witness our creators develop and grow through these experiences! You also support illustrators through the Kestin Indigenous Illustrator Award? Yes, this is an exciting initiative we established in 2017 in response to industry demand for Indigenous illustrators. The Kestin Indigenous Illustrator Award is a national biennial award that seeks to identify new talent in the art of children’s picture book illustration. The award supports emerging illustrators to develop their craft, and encourages Indigenous artists to try their hand at children’s picture book illustration. The winner receives $10,000, a professional mentorship and the opportunity to illustrate an unpublished manuscript by a renowned Indigenous author. The award is again open for entries and this time an Indigenous artist or emerging illustrator will have the opportunity to illustrate award-winning author Bruce Pascoe’s first children’s picture book. The first Kestin Award winner was Arnhem Land artist Johnny Malibirr, who illustrated Little Bird’s Day by Sally Morgan. The book will be launched in March 2019 and it is destined to be an early childhood classic. What are some of Magabala’s 2018 achievements that you are most proud of? In 2018 Magabala Books published 15 new titles, which is a record for the organisation. The diversity of titles says a lot about Magabala and why our work is so important. To mention a few – Our Bird’sby 14-year-old Siena Stubbs is a beautiful non-fiction book for all ages, particularly for bird lovers and those interested in Yolŋu life, language and culture. 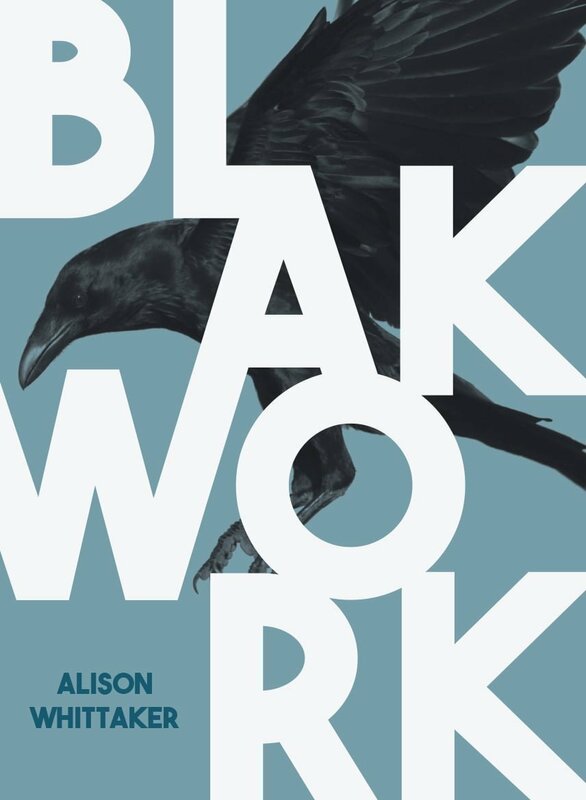 Blakwork is a stunning collection by Alison Whittaker, a powerful new voice in poetry. We were thrilled to release two books for reluctant teen readers – Brontideby Sue McPherson and Black Cockatooby Carl Merrison and Hakea Hustler. We published five children’s picture books from all over Australia, including Alfred’s Warby Rachel Bin Salleh and Samantha Fry, which gently tells the life experience of a WWI Aboriginal veteran who was one of Australia’s forgotten soldiers. 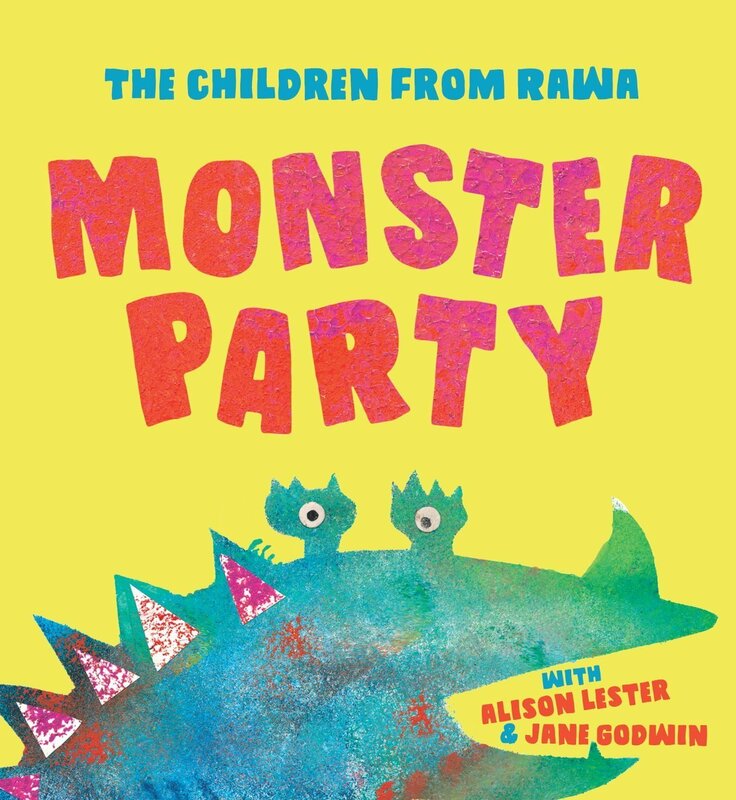 Benny Bungarra’s Big Bush Clean-uphas strong environmental themes, and Monster Partyis a fun collaboration between the children of the Rawa School in Punmu community, Alison Lester and Jan Godwin. What exciting plans are there for 2019 and more generally, what are your hopes for the future of Magabala Books? 2019 is going to be another big year for Magabala. Perhaps the most anticipated title will be Bruce Pascoe’s Young Dark Emu, aimed at mid to upper primary audiences. We have the long awaited final instalment in the Ubby’s Underdog’s graphic novel series by Brenton McKenna and a new picture book about another cheeky bird from award-winning author-illustrator, Gregg Dreise. We will be publishing the works of several debut authors and illustrators, and announce the winner of the Kestin Indigenous Illustrator Award at the CBCA NSW AAA Conference in Sydney in March. 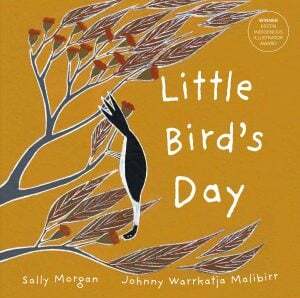 This Award will be announced alongside the launch of Little Bird’s Day, written by Sally Morgan and illustrated by Johnny Warrkatja Malibirr, which is the published outcome of the inaugural Kestin Indigenous Illustrator Award. We will also announce the inaugural winner of the Daisy Utemorrah Award, our new national award for an unpublished works of junior, YA fiction and graphic novels. As for the future, we are constantly inspired by the new Aboriginal and Torres Strait Islander writers, poets and illustrators coming through. We are confident that Aboriginal and Torres Strait Islander writers will be increasingly recognised as amongst the most important in the canon of Australian literature. We are also conscious that there are so many more important elders’ stories to be recorded and shared – with the support of our philanthropic Cultural Fund we are ensuring these stories are published and our cultural classics kept in print for new audiences to enjoy. How can interested parents and little readers support Magabala Books? Search ‘Magabala’ on the Copyright Agency’s Reading Australia website. You can also search the term ‘Indigenous’ for a list of excellent works with Indigenous themes. Subscribe to our newsletter on our website to find out about our new titles. Read widely to provide yourself with a greater understanding of the richness and diversity of Aboriginal and Torres Strait Islander stories. Ask for recommendations from your bookshop. Independent bookshops are our friends and champions. Magabala is the Nyul Nyul, Nyangumarta, Karajarri and Yawuru traditional language word for bush banana, that spreads its seeds far and wide – we encourage you to share our stories far and wide with other parents, children and teachers.